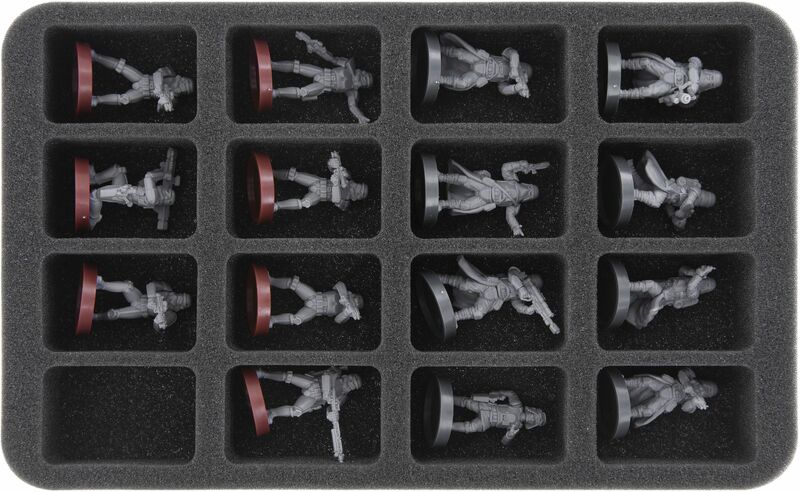 The Empire's troops in one MAXI bag for safe transport. 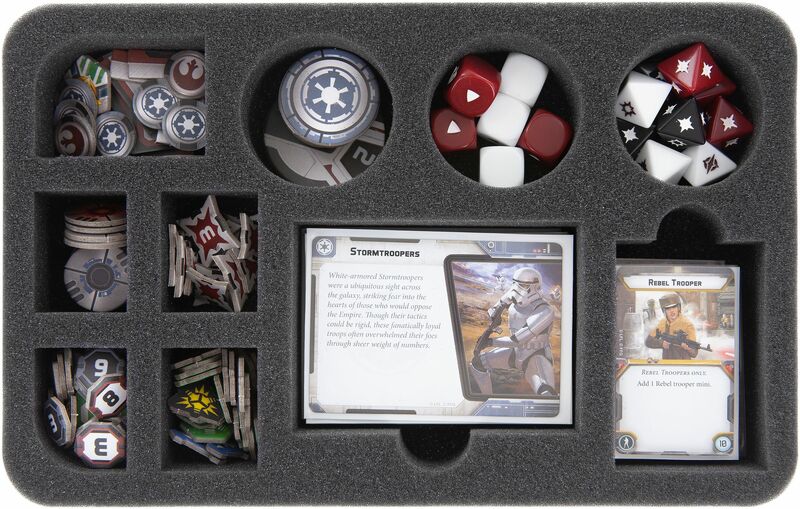 The first expansions for Star Wars: Legion do not just come with the long-awaited reinforcement to the Empire's army. They also need more space. 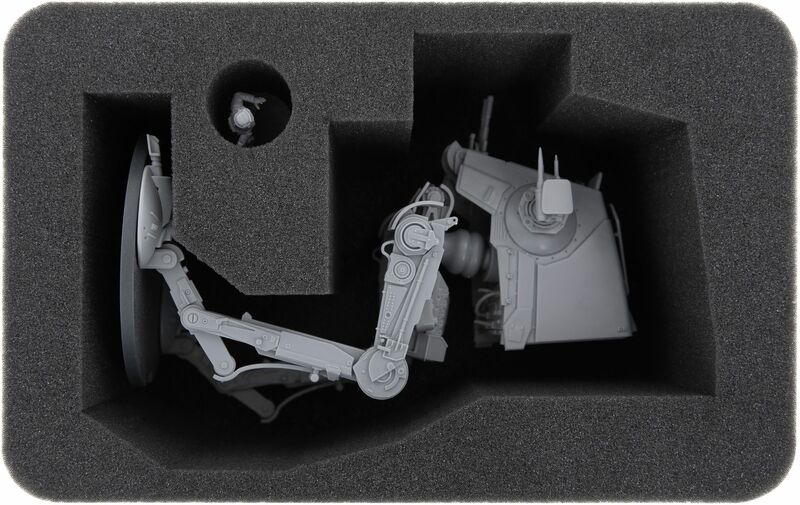 We immediately took care of it and bring you and your army of the Galactic Empire the Feldherr MAXI bag for Star Wars: Legion – Empire. 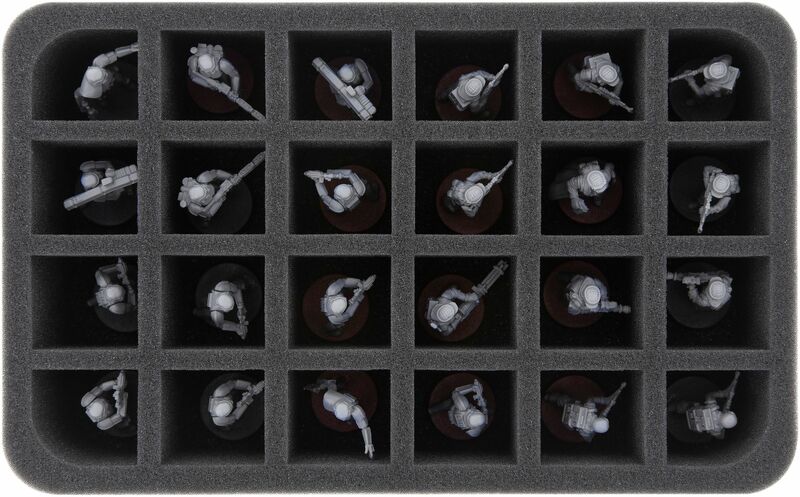 With this bag, you'll finally make room and order for all the Empire's Stormtroopers and vehicles. 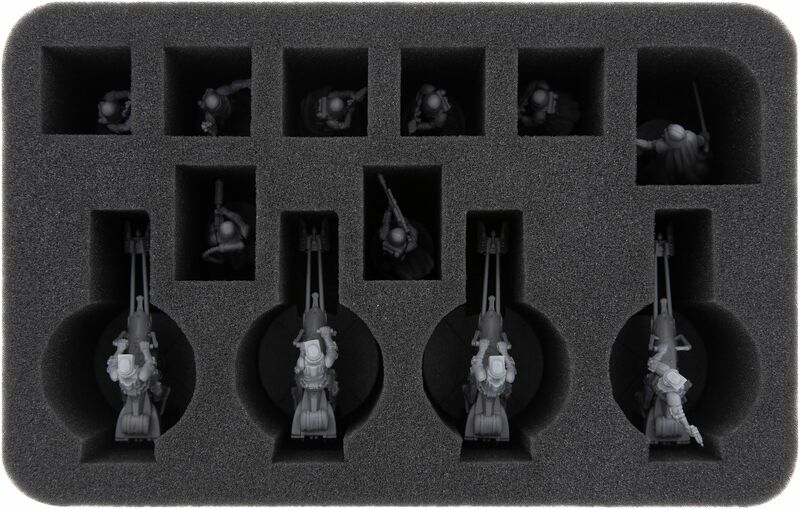 The custom-made compartments made of fine-pored foam ensure the abrasion- and shock-proof storage for your figures. No more chipping off the colors or bending the weapons. 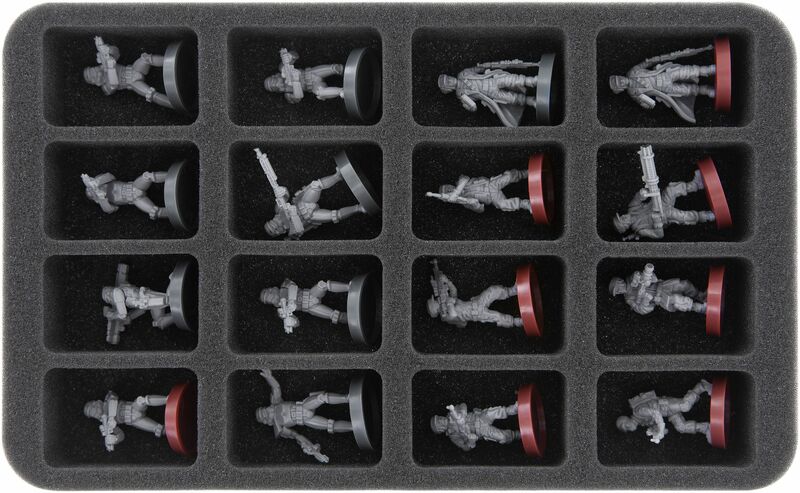 A tray for the Unit and Upgrade Cards, as well as tokens and dice are also available of course. 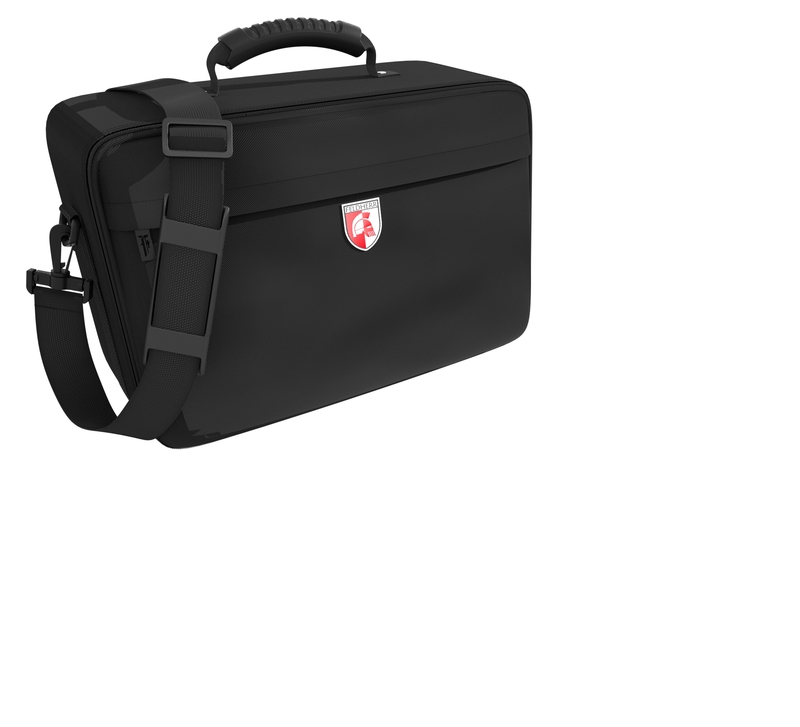 The Feldherr MAXI bag is made of robust material. 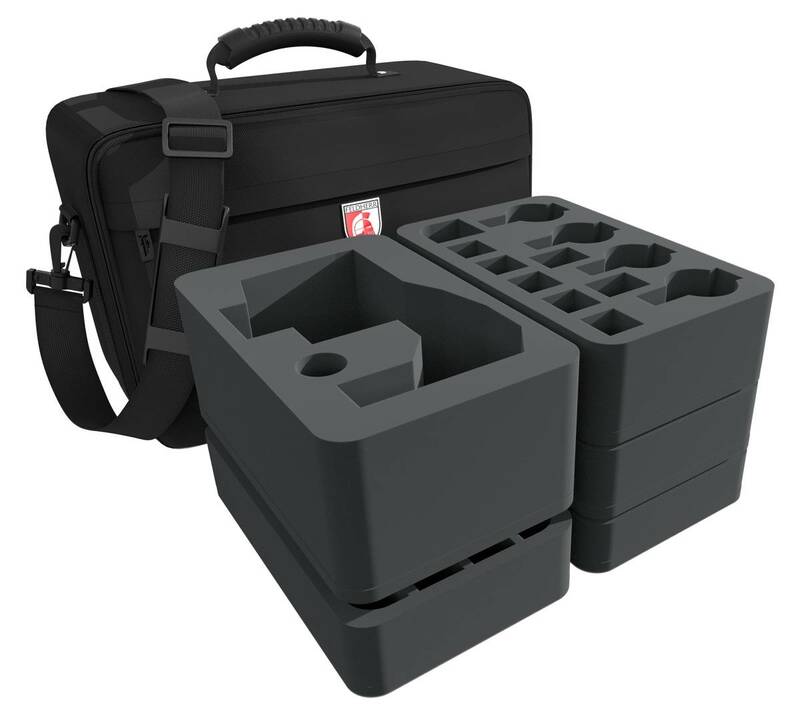 Additional padded side panels and the reinforced base provide sufficient protection during transport. A sturdy belt enables better wearing comfort. 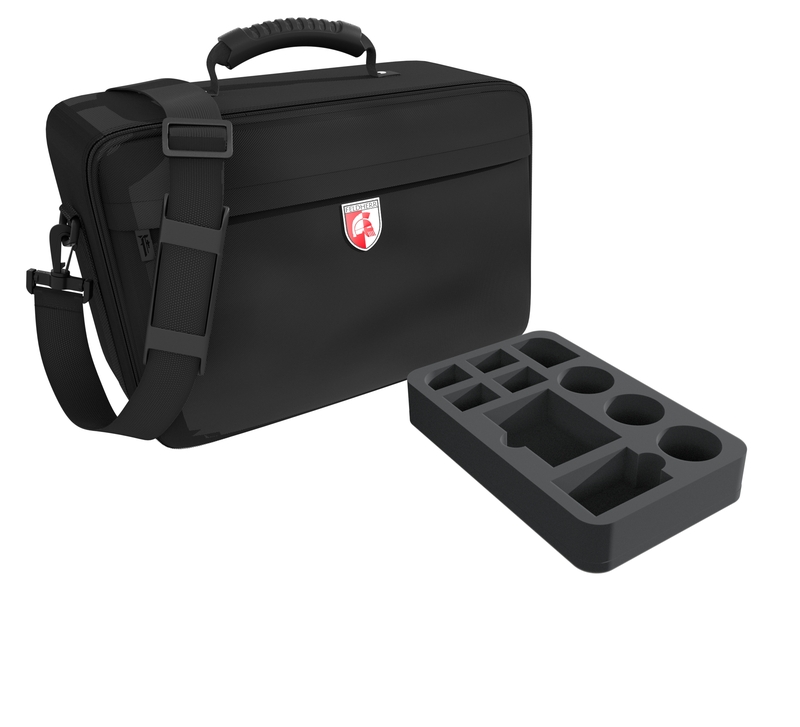 The interior is filled with our high-quality chlorine- and acid-free foam trays. These are cut precisely for the miniatures and vehicles. Even the bumpiest transport can't harm your Stormtroopers.